The new Ford Bronco is on the horizon — it has been touted as a 2020 model, which bodes for a 2019 introduction. And it's going to have a smaller "baby Bronco sibling." 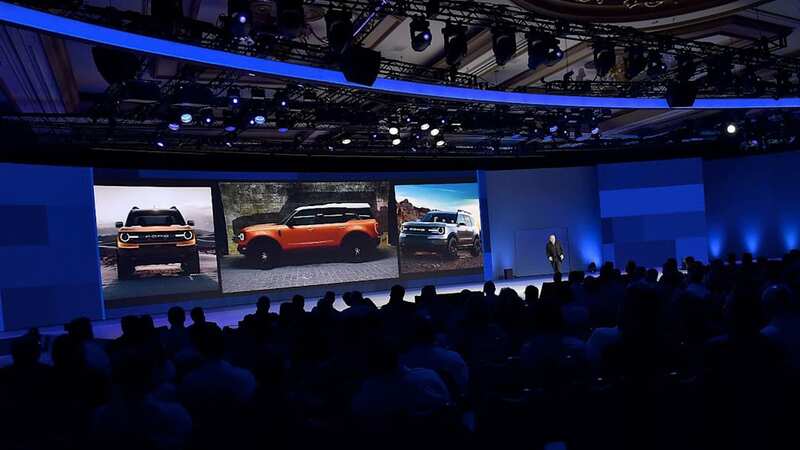 Now, photos from a recent Ford presentation to its dealers have leaked online, and they give us the first good look at the actual Baby Bronco, sitting in the shadow of what we figure is probably the larger 2020 Bronco. These images come from a photo set discovered by Off-Road.com. On the presentation screens are three photos of the upcoming, reborn Baby Bronco, showing the front, the side profile and a front quarter view. The design looks chunky and near-minimalistic, with similar dimensions and details as some Land Rover products — complete with a Range Rover style front fender vent ahead of the front door. There's also a kick up to the slimmer rear side window aft of the C-pillar, and a two-tone color scheme with a white roof appears to be an option, both of those giving the glasshouse a bit of a Mini wagon vibe. What can be seen of the taillight clusters also hints of an LED outline illumination. The wheels are black with a decorative center cap — a nice deviation from bling. Up front, there are circular LED running lights and a big FORD text badge for a slightly retro front design. 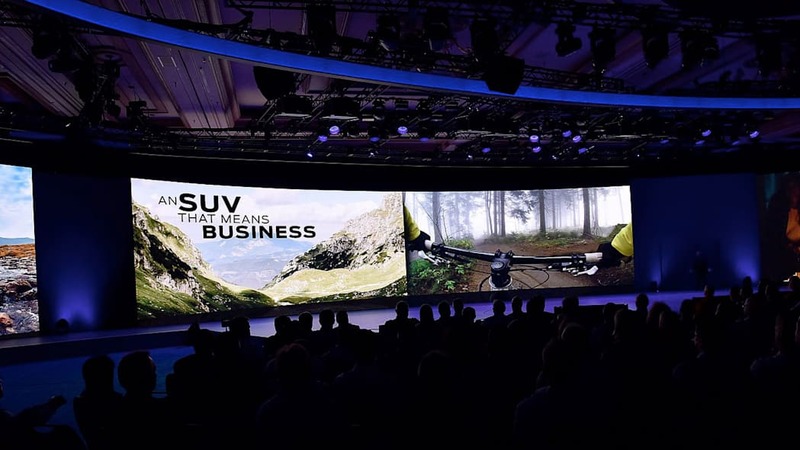 The SUV also appears to be made available with an off-road themed package that gives it chunkier tires and wheels — but what we're looking at in these images is clearly a four-door crossover instead of a shorter, purpose-built off-road machine. 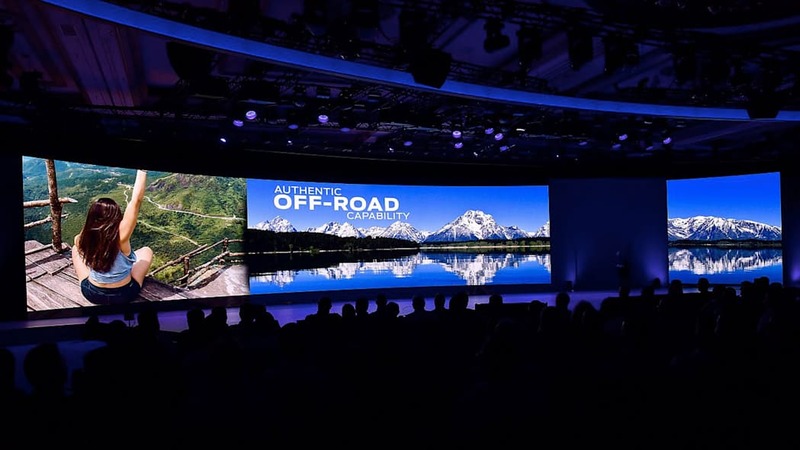 Still, the "Authentic Off-Road Capability" slogan displayed on the screens promises more than a gussied-up Ford Edge. 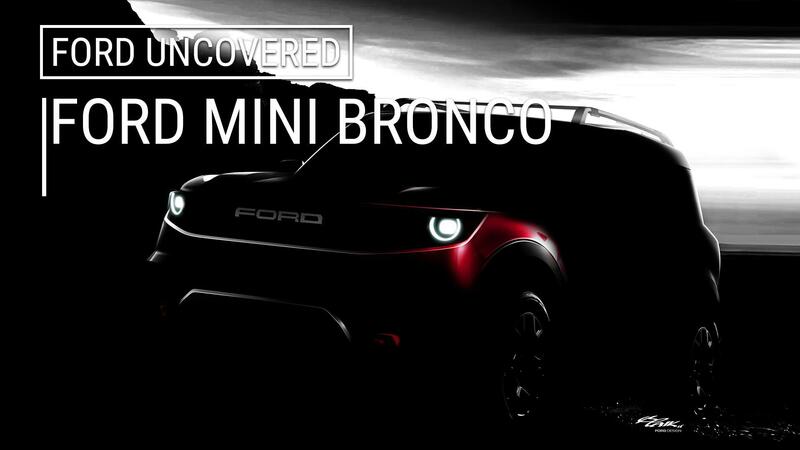 UPDATE: A previous version of this story identified the vehicle seen here as the 2020 Ford Bronco, when in fact this is likely the smaller "Baby Bronco" that is also coming soon. 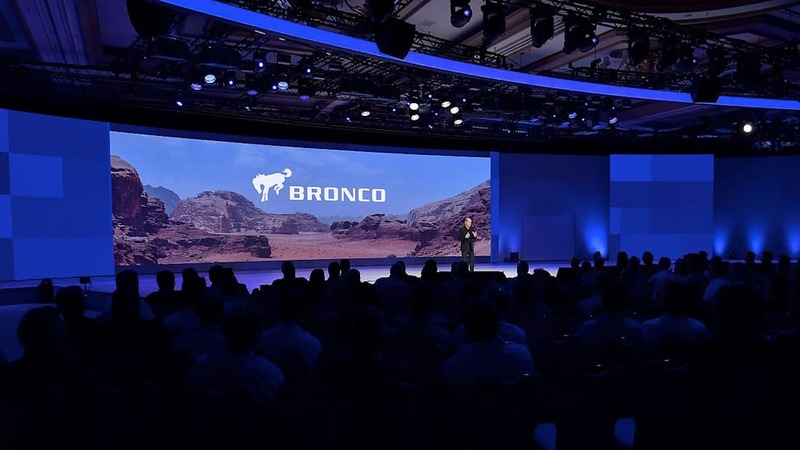 The outline of the larger Bronco seems to be shown in one of the slides, as well.